Congratulations! You’re moving out on your own for the first time! You can now come and go whenever you want, you can leave dirty clothes on the floor without your mom nagging you about it, and you can binge watch your favorite trending show without having to share the TV with your dad. But wait… it also means that you’ll need to pay your own way in your first apartment, make that weekly trek to the grocery store, and kill your own spiders. While we may not be able to help you with those tasks (especially the spider-killing! ), at Dolly, we know a lot about moving and we’ve helped countless people have a fresh start in a new location. If you’re moving out for the first time, then here are important moving out checklists for you to keep on hand. After finding that perfect first apartment, one of the next biggest jobs is to start packing. Of course you’ll need boxes, bubble wrap, and packing tape, but have you considered adding work gloves so you won’t get blisters carrying all of those boxes, or a tarp if in case a rainpour decides to surprise you on moving day? 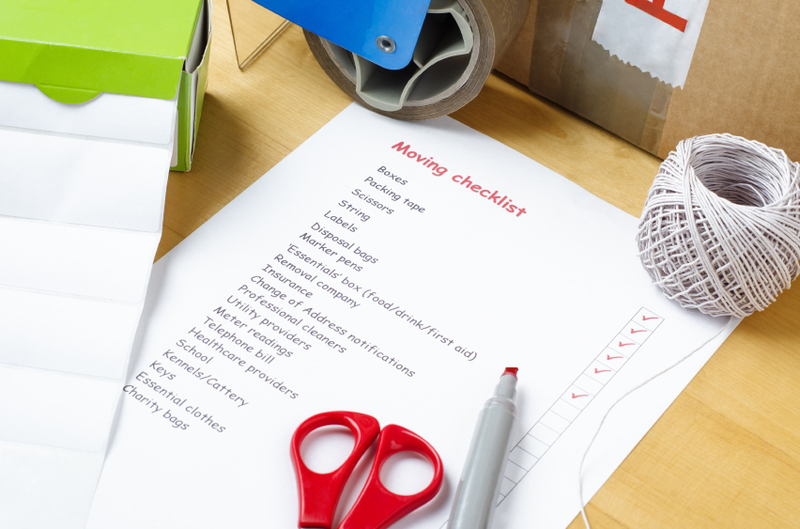 Check out our complete list of packing supplies you’ll need for moving out into your first apartment here. Plenty of snacks and water, because carrying boxes and furniture is hard work. Plan on about four bottles of water per person and plenty of healthy snacks like trail mix, granola bars, apples and bananas, and pretzels to keep your crew nourished. Accidents happen, so keep a first aid kit handy for minor cuts and blisters. The Johnson & Johnson Red Cross Safe Travels First Aid Kit is only $6.49 and has various sizes of BandAids, antibiotic ointment, and more. Consider that your moving supplies are also going to depend on the time of year that you’re planning on moving. If you’re moving out in the summertime, you’ll need plenty of cool beverages and shade to avoid heat stroke. During the Fall, rain is a likely problem so buy plenty of tarps, bungee cords, and a raincoat. For moves in the winter, you’ll need shoes with great traction to avoid snow packed and slippery sidewalks. Book a Dolly. Our experts can help you to determine what size truck you’ll need and how many Helpers should be on hand to make the process of moving out run smoothly. Nothing is worse on moving day than not being able to fit everything in your moving truck or having no-show friends that leave you panicked and alone. With Dolly, you’ll have the confidence that you’ll have a team of hard-working moving professionals ready to help you conquer the difficult task of moving out. If you’re moving out for the first time, there are certain items that your first apartment is definitely going to need to make this new space liveable (while it might be surprising to hear, no, you cannot survive with only a futon and a Costco-sized package of ramen). 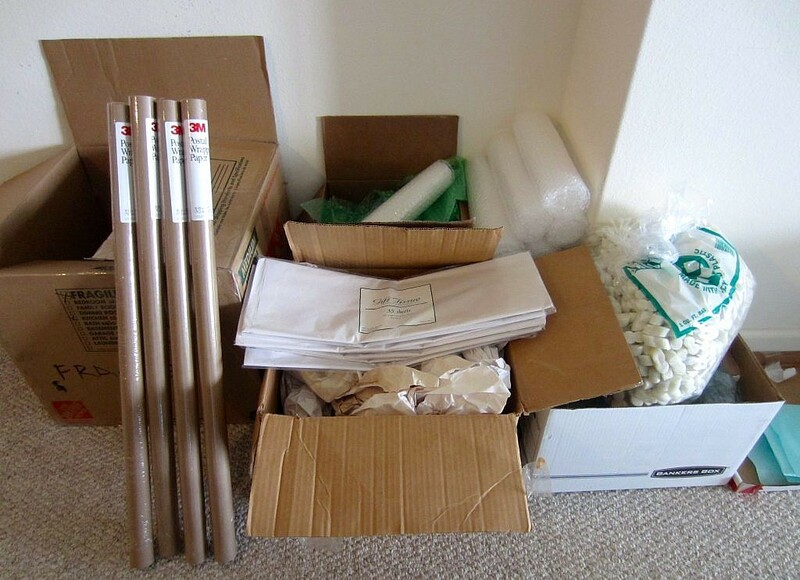 It also helps to buy and gather these items ahead of time because moving day is just too crazy to suddenly realize that your new home doesn’t have any toilet paper or paper towels. 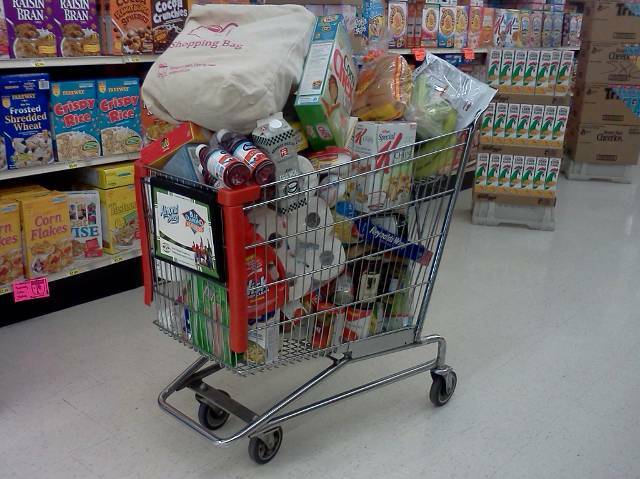 For quick one-stop shopping, consider visiting a bargain store like Big Lots, Target, or Walmart to knock out all of these items on your moving out checklist in one easy trip. Additionally, put these items in specially marked packing boxes so you can access these necessities quickly on moving day. Here are the items that you’ll need to stock your new home with when you’re first learning how to live on your own. One of the best words of advice on how to live on your own is this: know when to ask for help. Your dad may give you great insight on which tools to buy, your mom can tell you how to find amazing bargains, and Dolly is here to make moving out for the first time a breeze. When you surround yourself with great resources, you’ll learn how to successfully live on your own by learning from others’ mistakes (which is SO much easier than making your own! ).